The AMC examination is designed to assess, for registration purposes, the medical knowledge and clinical skills of international medical graduates (IMG’s) whose basic medical qualifications are not recognised by the Medical Board of Australia (MBA). 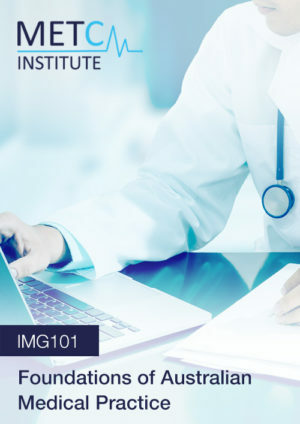 Prior to obtaining general registration in Australia, international medical graduates (IMGs) must complete the Australian Medical Council (AMC) exam. METC Institute provides AMC exam preparation courses to facilitate preparation for and optimal performance in the AMC examination. Note: METC Institute is an independent organisation and is not affiliated with the Australian Medical Council. The AMC exam is comprised of both a computer-administered, multiple-choice examination (AMC CAT MCQ), and a clinical examination. The AMC MCQ CAT examination focuses on basic and applied medical knowledge across a wide range of topics and disciplines, involving understanding of the disease process, clinical examination, diagnosis, investigation, therapy and management. It also examines the candidate’s ability to exercise discrimination, judgement and clinical reasoning in distinguishing between the correct diagnosis and plausible alternatives. The AMC clinical exam assesses the candidate’s capacity to take a history, conduct a physical examination, formulate diagnostic and management plans, and communicate with patients, their families and other health workers. Our preparation courses for the AMC Exam aim to prepare foreign trained doctors for both elements of the AMC exam. Courses are available to help doctors revise the relevant content for the AMC exam, complete trial exams, and develop and practice their skills for the clinical examination. The following AMC exam preparation courses are stand-alone, but are also available as packages to facilitate optimal preparation. The Essentials for AMC Exam Preparation Course (IMG100) is a short course aimed at students commencing their studies for the AMC Examination, or for those who are lost in the exam content or how to prepare for the AMC exam. Many International Medical Graduates study hard for the AMC Exams, yet do not pass the exam. In many cases, this is due to a misunderstanding of the breadth and depth of material required, incorrect prioritisation or selection of study material, poor study planning, and incorrect study techniques. The Essentials for AMC Exam Preparation Course (IMG100) teaches these principles to allow a framework from which to base your preparation. In essence, the course teaches candidates how to pass the AMC exam. 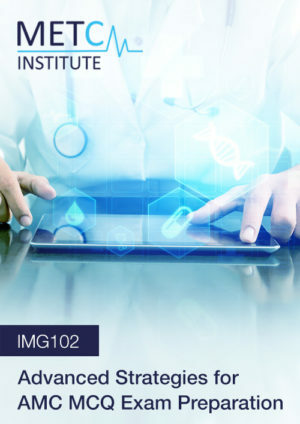 The Foundations of Australian Medical Practice (IMG101) course subject teaches medical knowledge and skills across a wide range of topics and disciplines. The course examines disease processes, clinical examination, diagnosis, investigation, therapy and management. IMG101 is completed online through METC Institute’s advanced Canvas LMS portal. 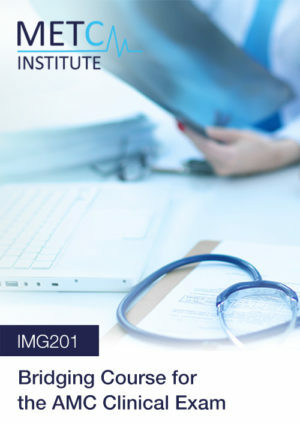 It includes 21 comprehensive modules that form the foundations of Australian medical practice, to be completed over 42 weeks and ~ 1680-2000 hours of study. The course is supported by unlimited access to course tutors, all of whom are specialist medical practitioners that provide expert guidance and clarification, individualised to personal requirements. The course will allow mastery of theory necessary for excellent performance at the AMC Computer Adaptive Test (CAT) MCQ Examination. The AMC Computer Adaptive Test (CAT) MCQ Examination is a computer-administered fully integrated multi-choice question examination delivered in one 3.5 hour session in examination centres worldwide. This course provides AMC CAT candidates with a complete review of the material required to perform at the highest standard in the exam. 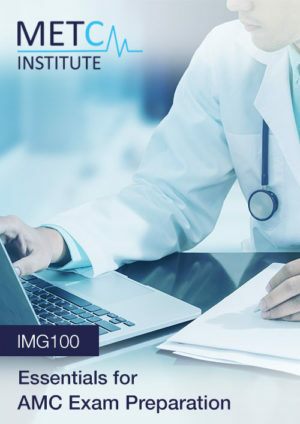 IMG102 develops advanced critical and analytical skills and methods needed for exceptional performance at the AMC MCQ through the use of multiple trial exams, each with worked solutions, strategies and references for further study. IMG102 is completed online through the METC Institute’s advanced Canvas LMS portal. It includes 10 full-length MCQ Trial Exams (total of 1500 MCQ’s). The course is supported by unlimited access to expert tutors, who are specialist medical practitioners that can provide guidance and clarification, individualised to personal requirements. 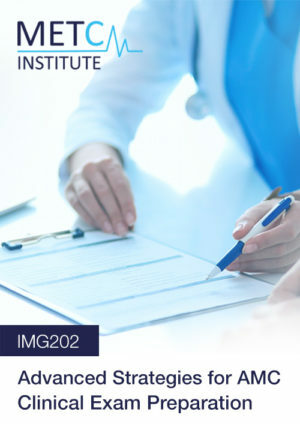 This course allows candidates to develop and refine medical knowledge through problem-based learning, to develop exam strategy, to realise and attenuate weaknesses and to develop a higher level of understanding of the concepts required to maximise AMC MCQ CAT scores in order to transition into Australian medical practice. The Bridging Course for the AMC Clinical Exam (IMG201) develops clinical reasoning skills in history taking, examination, diagnostic formulation, management, counselling and education on core topics regularly examined in the AMC clinical exam. 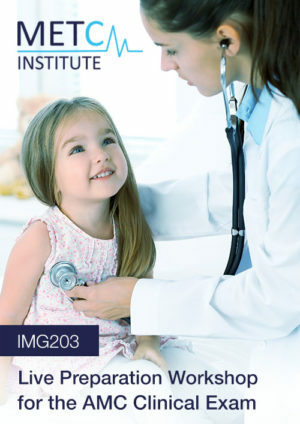 The course teaches core principles, strategies and techniques for approaching the clinical presentation. IMG201 is completed online through METC Institute’s advanced Canvas LMS portal. It includes 40 comprehensive modules and 40 clinical tutorials, to be completed over 40 weeks and ~ 800-1200 hours of study. The course is supported by unlimited access to expert tutors, all of whom are specialist medical practitioners that provide expert guidance and coaching, individualised to personal requirements. The Advanced Strategies for AMC Clinical Exam Preparation Course (IMG202) develops advanced critical and analytical skills and methods needed for exceptional performance at the AMC Clinical Exam. This is accomplished through the use of multiple Clinical Trial Exams, each with worked solutions, clinical reasoning, exam strategies and references for further study. To develop their clinical reasoning skills, candidates have access to an expert Academic Faculty that consists of Australian specialist medical practitioners with a minimum of 10 years experience in the Australian health sector. IMG202 is completed online through the METC Institute’s advanced Canvas LMS portal. The Live Preparation Workshop for the AMC Clinical Exam (IMG203) is an intensive, interactive and hands-on workshop conducted in a small group setting. The workshop is facilitated by expert, Australian-trained specialist doctors with more than ten years experience in the Australian health care sector. Furthermore, all clinical skills facilitators have active academic appointments with local Universities and consultant-level clinical appointments in major Australian teaching hospitals. The course consists of intensive tutorials and small group, personalised clinical coaching that focuses on all elements of the AMC Clinical Exam. Candidates work specifically to gain critical skills and insights required for excellent performance in the AMC Clinical Exam. The AMC Clinical Exam represents a difficult barrier for the majority of international medical graduates. This intensive workshop breaks down the reasons why, introduces specific strategies, and focuses on individual improvement and performance for this high-stakes exam. 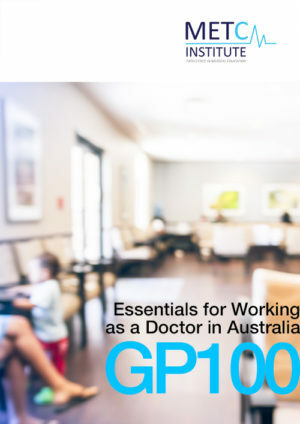 The Essentials for Working as a Doctor in Australia Course (GP100) is an important first step to complete for all international medical graduates seeking to work as a doctor in Australia. The course provides the groundwork for understanding all elements of the process of working in the Australian health care sector, discusses common challenges that are faced including employment hurdles, regulatory challenges, and the difficulties of the AMC Examination. Importantly, the course sets out strategies for overcoming these barriers and provides the IMG with guidance and a framework to navigates these challenges. The Essentials for Working as a Doctor in Australia (GP100) Course is prepared and delivered by Consultant-Level (Senior Medical Officer), Australian-trained specialist medical practitioners with a minimum of 10-years clinical experience in the Australian health sector. 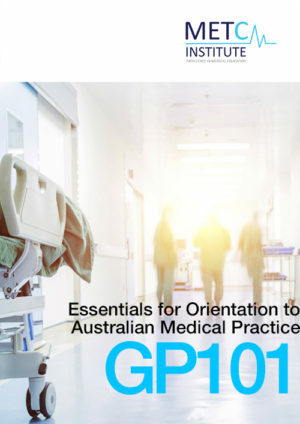 The Essentials for Orientation to Australian Medical Practice Course (GP101) provides a structured and comprehensive orientation to the Australian health care system, Australian health care practice, relevant legislation and expected professional practice standards. The course is suitable for international medical graduates, general practitioners, GP registrars or practice managers who are new to the Australian health system and who require an orientation to the private sector of Australian health care. The Essentials for Orientation to Australian Medical Practice Course (GP101) is prepared by relevant experts including Consultant-Level (Senior Medical Officer), Australian-trained specialist medical practitioners with a minimum of 10-years clinical experience in the Australian health sector.